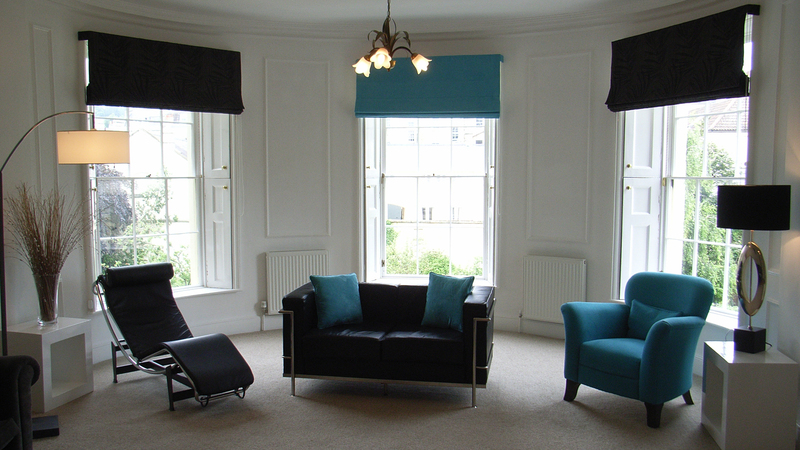 This was an apartment refurbishment in the Circus, Bath. Many thanks for your help in getting the place looking great. I think it is an outstanding look and feel. Let me know your mailing address, will you, as I want to send a card to you and your family. All the best, Clive. 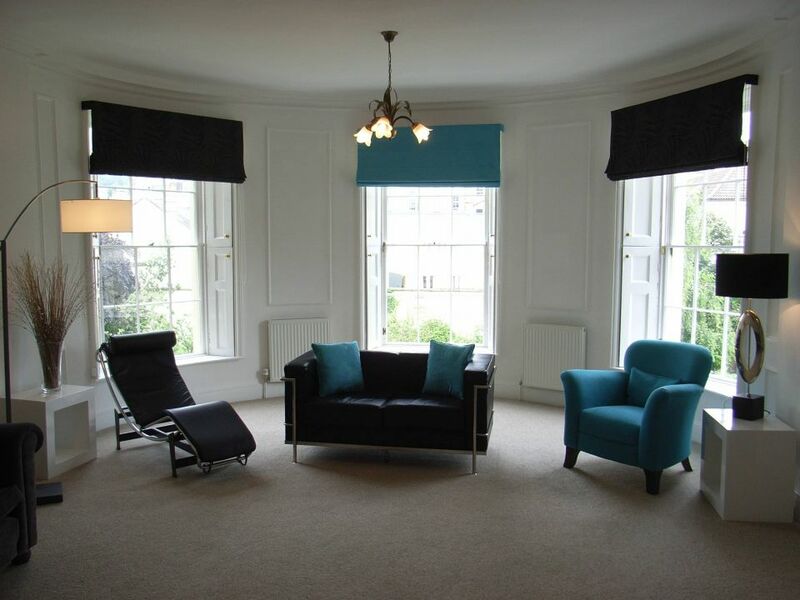 A major part of this apartment refurbishment was to decorate and furnish its large drawing room. 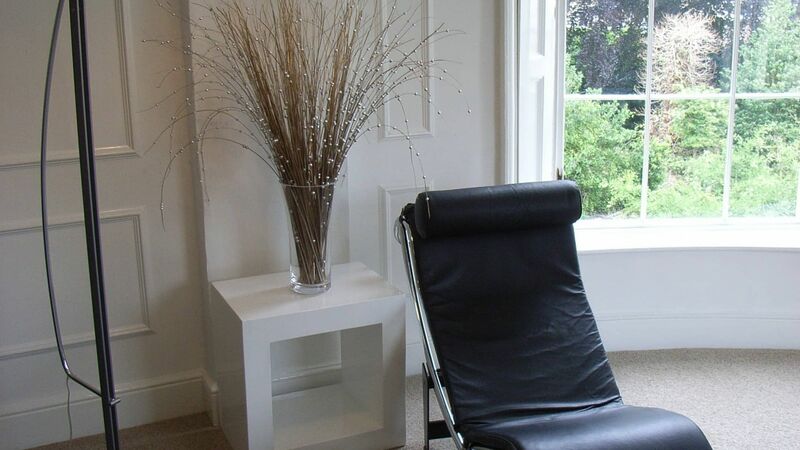 With its dowdy appearance and fussy decor, our client wanted a more contemporary and minimalist look. 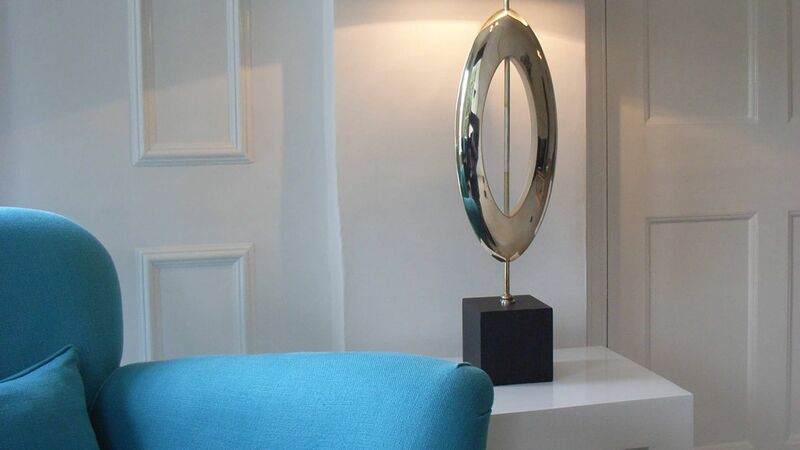 We produced floor plans and mood boards for each space, choosing aqua blue as the accent to complement his existing artwork. 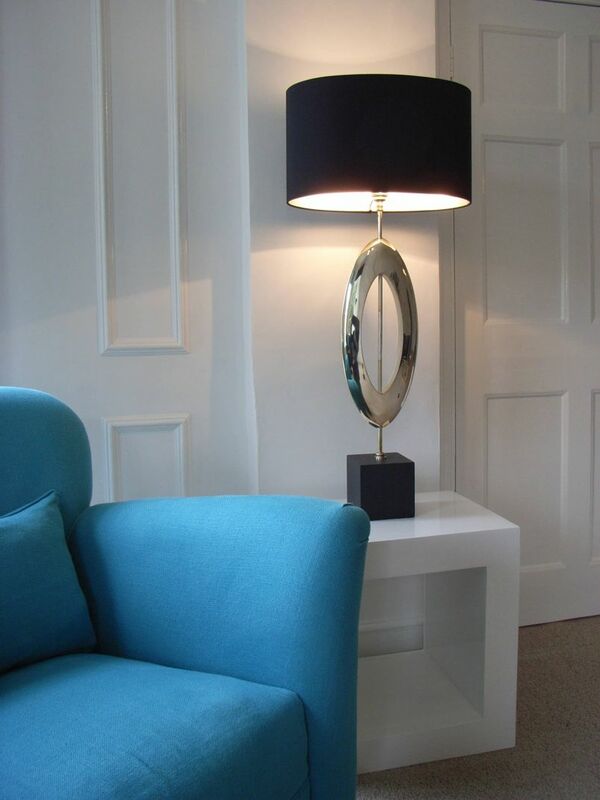 Looking to furnish the room with stylish and classic pieces, we purchased stylish lamps and designed bespoke storage. The corner unit, with its bifold door, matched existing Georgian wall mouldings, and now accommodates our client’s vinyl record collection. We found a pair of cube side tables and painted them gloss white to match the room. 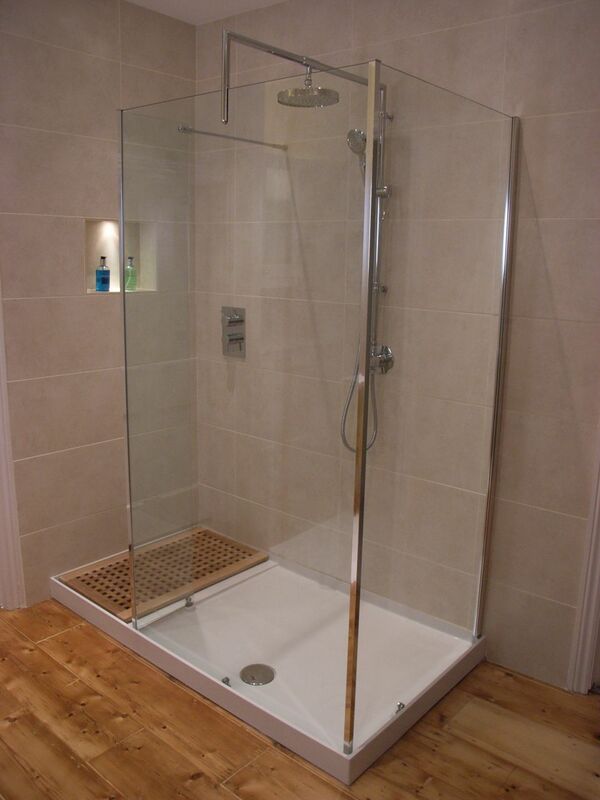 We were also commissioned to design and install an en-suite with walk-in shower. We stripped, repaired and sealed the floorboards to retain the period backdrop, but also polished a steel toilet waste to blend with the fittings. Our flexible lighting design, included a recessed light in the shampoo niche, and an illuminated mirror cabinet. 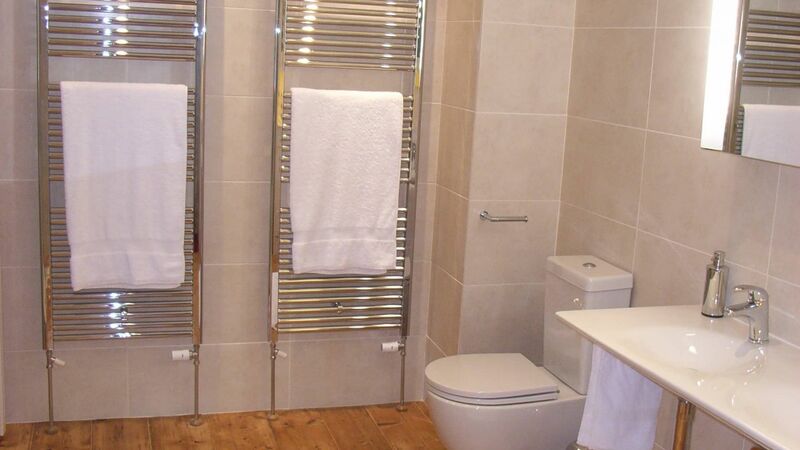 We then overhauled the family bathroom with its horrendous orange walls and red carpet. 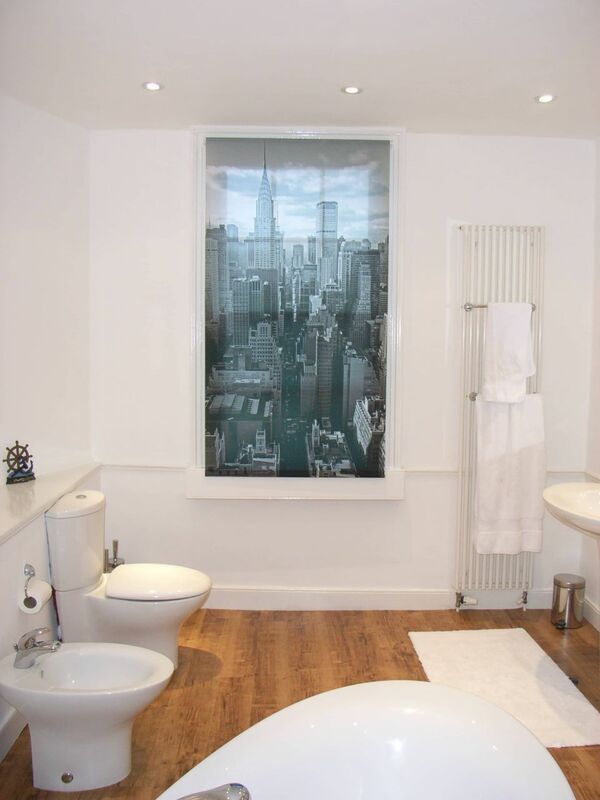 Our bathroom design included a high quality vinyl plank floor, a bespoke canvas and a blind with images of Manhattan. 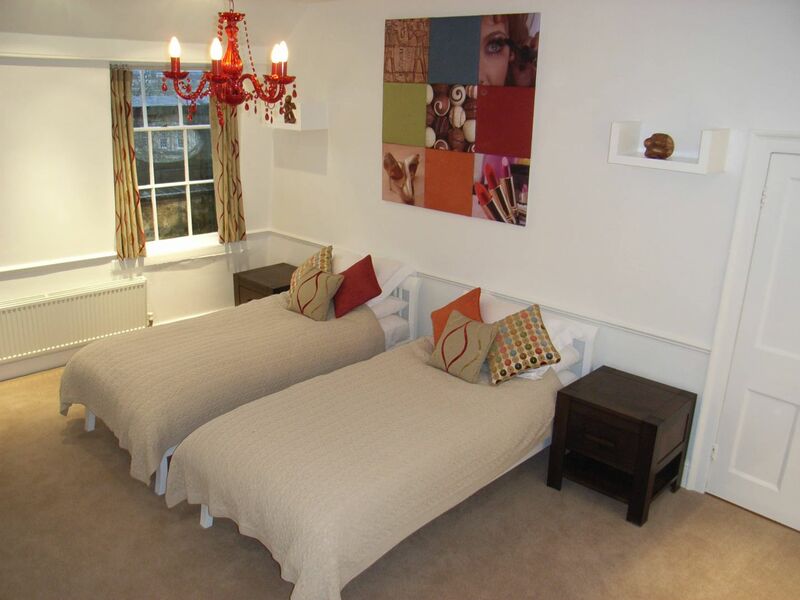 To make the room feel bigger, we fitted a large mirror to reflect light back into the room. It is always preferable and more flattering to illuminate your face from two sides rather than from the top. 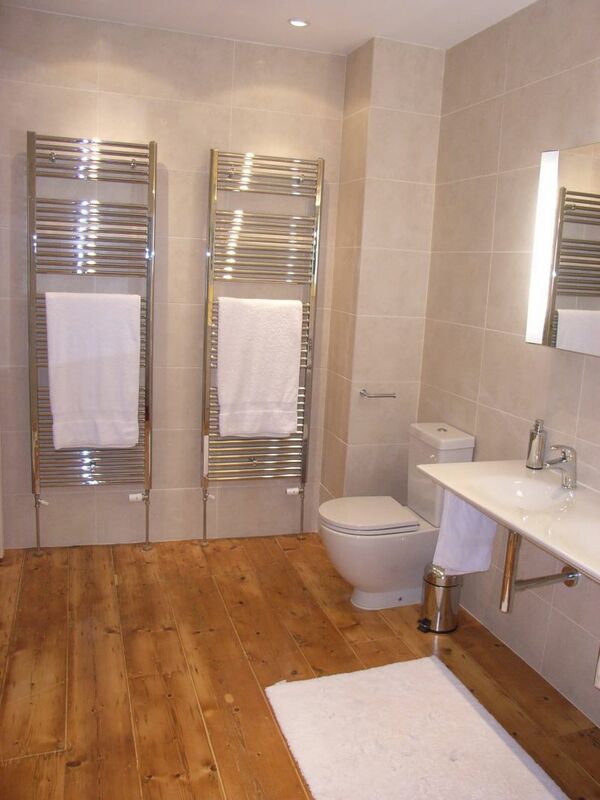 In this bathroom we installed a mirror with side lighting for this purpose. We also used a contemporary window film for privacy. 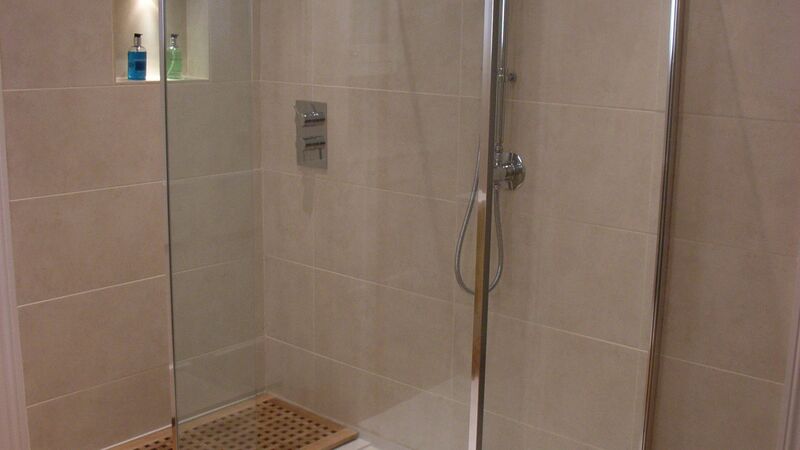 You may be interested to read about our bathroom design and fitting service. The diner doubled as an office and also housed a fridge freezer. Our room plan created additional fridge capacity in the existing kitchen, using an under-utilised cupboard, so that the fridge freezer could be replaced. 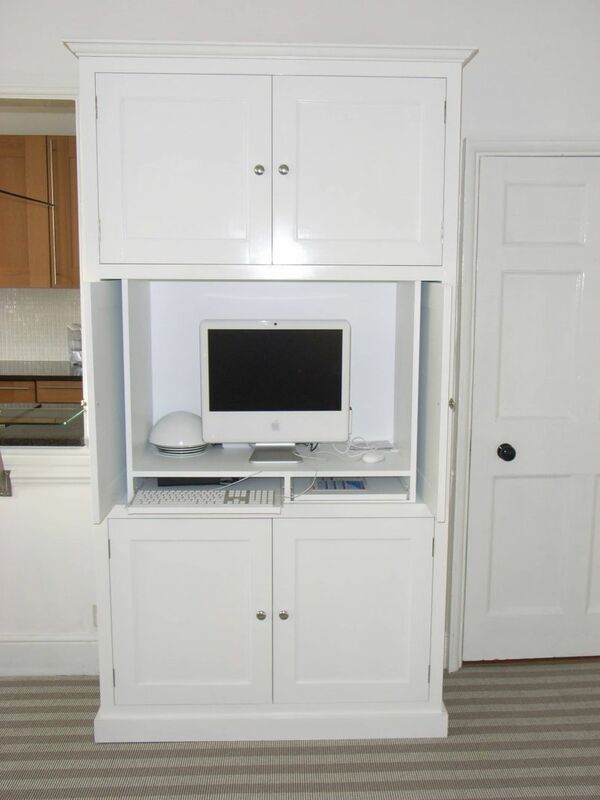 We also designed and built a number of bespoke units for storage in-keeping with the Georgian interior. 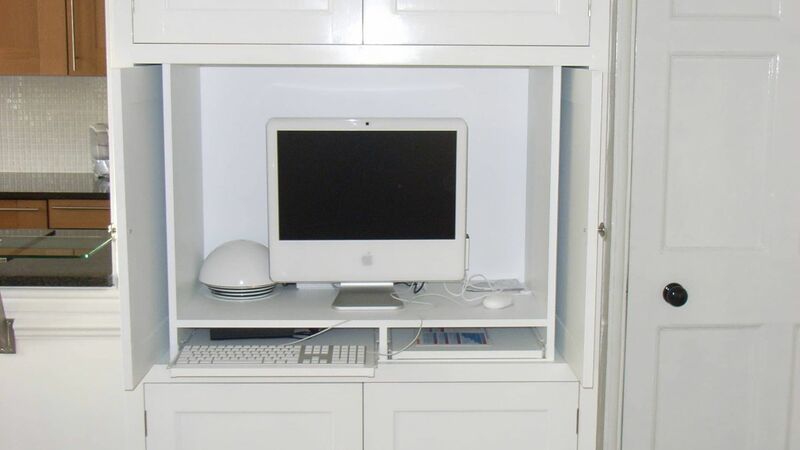 This included a free-standing computer unit with sliding doors to hide the office equipment. We also designed and made the bespoke glass breakfast bar; here, the shelf was fixed to the polished steel posts using the latest in ultra-violet adhesive technology, creating a perfectly flat surface for dining and cleaning. 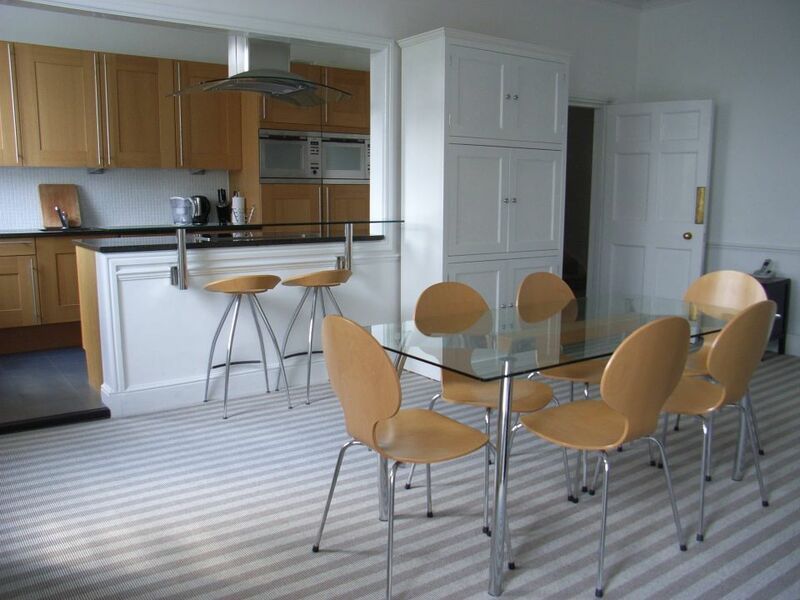 The room was completed with a contemporary striped carpet. 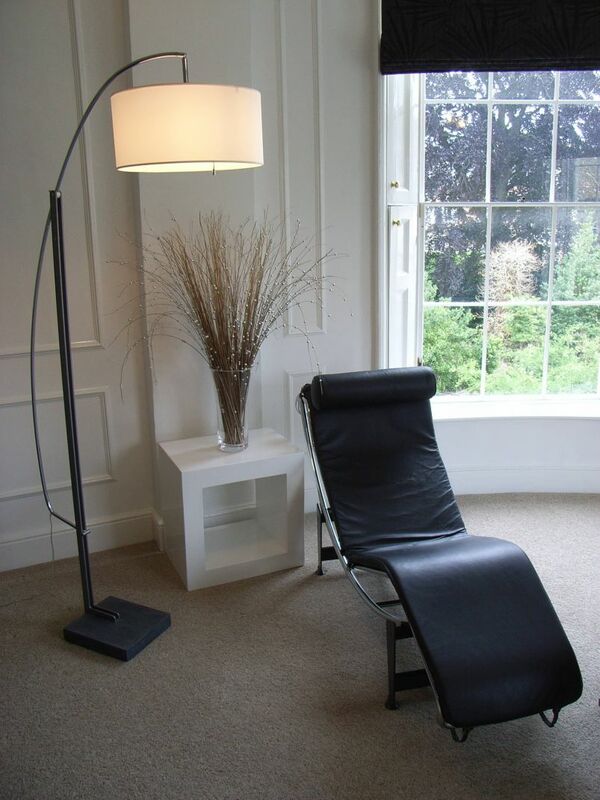 When you’ve finished this page, you may care to read more about our bespoke furniture. 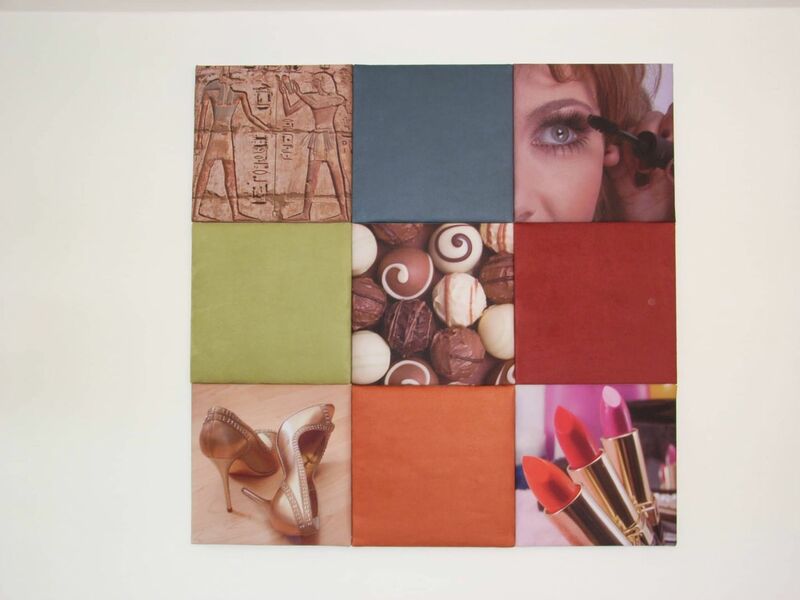 We also refurbished the childrens’ rooms; we treated the teenage girls to a bespoke fabric panel that we made from coloured faux suede fabic and images that reflected the girls’ interests. We disguised functional storage, and supplied colourful leather office chairs and a large desk. Matching curtains and scatter cushions with the red chandelier, the girls now have a glamorous bedroom to enjoy with their friends. 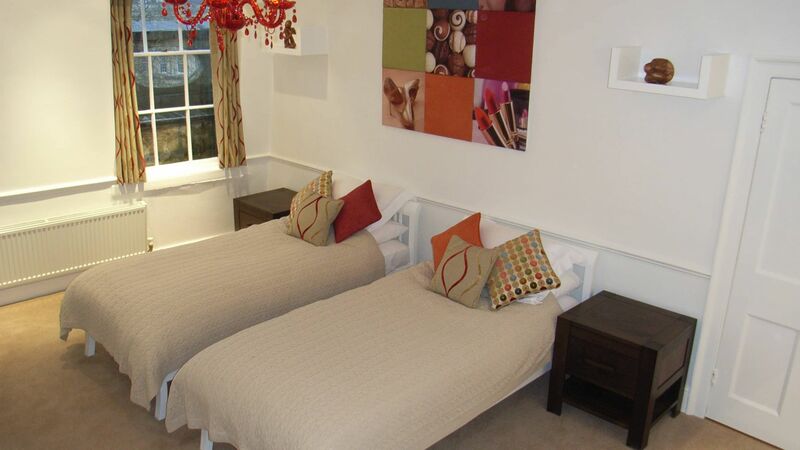 When you find time, you can read more about our bedroom designs. 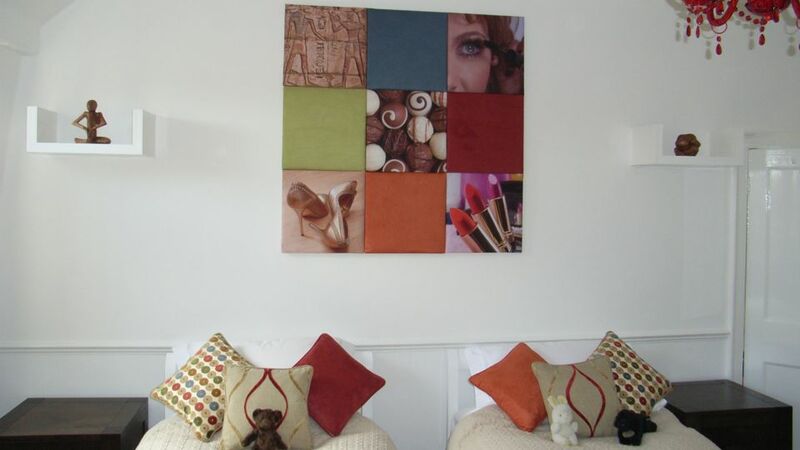 When this apartment refurbishment was complete we realised that we had transformed it from a yellow, red and orange box to a stylish, contemporary space. 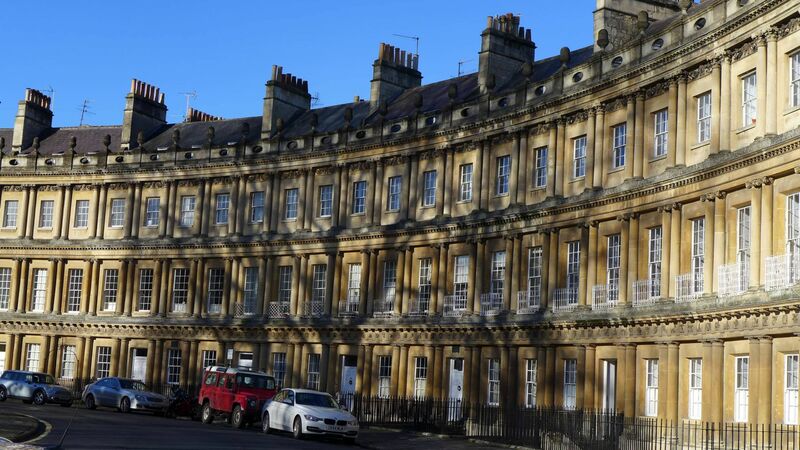 If you have an apartment or flat near Bath or Bristol that needs some attention, please get in touch. 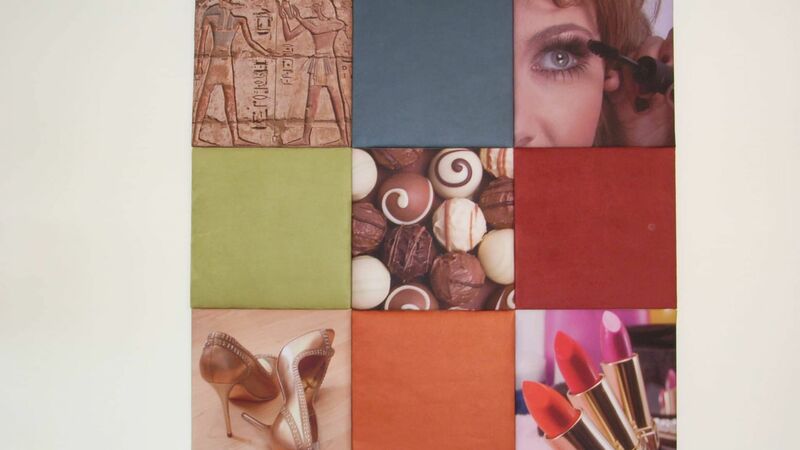 It may be worth you reading more about our interior design and home renovation services.